We get to know Bel on your Friday morning; a Melbourne-based songstress and producer who’s on the cusp of releasing her debut EP. The six tracker is entitled ‘Melancholia’, was preceded by the release of its title track back in August and will be launched with a special show at The Toff In Town in Melbourne next month. But instead of us giving you all the details, we’ll leave it to her. Join us as we Get To Know Bel. 01. Name : I like to be called Bel, but my full name is Isabelle Rich. 02. Where are you based? I currently find sanctuary in Melbourne, Australia. I hope to move to London one day. 03. How did you get your start in music? I certainly did not have a smooth transition into music. I was well on the path to doing medicine during high school. Things abruptly changed after singing for the first time in public at my high school singing night when I was 16. A really strange but forceful desire to live a creative life overwhelmed me and I never looked back. I picked up a bunch of instruments, started training my voice and refining my songs and never really stopped. 04. Give us five words to best describe you as an artist. Unfiltered, Brave, Visual, Sassy, Introspective, Experimental. That was six… I apologise! 05. Tell us a little bit about your sound and how it developed. My sound developed through years of grind. I didn’t grow up in a musical environment, thus when I was 16 I completely immersed myself in all things musical theory, harmony, production and beats. As I studied more my ability to create more interesting soundscapes expanded. I never struggled with placing myself into a genre, as I find genre conventions limiting. I create things that make me feel. It’s up to listeners to place me where they think I sit but I don’t really like to pay attention to that. 06. Who have been your musical influences? I draw inspiration from an array of musical and visual artists. To name only a few feels impossible as I highly depend on visuals to inspire my sonics, and vice versa. Lyrically and melodically I don’t draw inspiration from many as it’s a highly organic and personal process. However, production wise I am constantly blown away. There are some incredible artists changing the game right now such as Arca, James Blake, Solange, Sampha, Aurora, FKA Twigs, Blood Orange etc. I could go on and on. I listen to a lot of music, and it’s the work that inspires me to become a better artist/producer that influences me in the studio. 07. What are your favourite songs of all time? You’re hitting me with the tough ones. My favourite song of all time would have to be ‘The Sound of Silence’ by Simon & Garfunkel. ‘Bittersweet Symphony’ by The Verve is up there too, as well as ‘Yesterday’ by The Beatles. ‘Retrograde’ By James Blake is probably one of my newer favourites and has been for a few years, but I can’t steer past the classics if I am forced to pick ultimate favourites! 08. What was the first album you bought? The first album I bought was ‘Survivor’ by Destiny’s in 2001. I had just turned six and it was such a proud moment going into Kmart that day with my tooth fairy and birthday money saved up in my little piggy bank. I literally had a piggy bank. I smashed that record hard every night. 09. Give us a little fun fact about yourself that people might not know. I am a nana at heart; a true introvert. I’m not one for the clubs. On a Saturday night you’ll catch me in my little home studio, reading a book in the garden or enjoying a quiet dinner with friends. Don’t expect to find me raving. 10. What would your chosen career be if music wasn’t an option? Both my parents are academic specialists. I went to a highly academic school where the arts were minimally supported and endorsed. I was pre-med before all this began. I wanted to be a doctor specialising in either psychiatry or oncology. Even now, I am an incredibly passionate about medicine. I’m such a nerd, I read medical literature in my downtime. 11. What’s the best advice you’ve been given in your career? I say this time and time again and I always go back to it. The best advice I have received is from my father; “nothing is a problem” and “trust your gut intuition above any exterior voice”. 12. Tell us about your latest release. My latest release has been a long time coming. I wrote these songs in solitude as I normally do and then I took them pretty bare boned with chords to my dear friend and collaborator John Castle. We worked on them together. This body of work ‘Melancholia’ comprises of six tracks. I’ve kept them hidden for a while. Lyrically this is an introspective and honest record. I’m proud of its cohesion and I think it will show who I am fairly accurately. It’s BEL part 1. 13. What do your future plans involve? My future plans and inspirations are multi-faceted and broad. BEL part 2 is well in the making as we speak. I plan to do a lot more touring, play more festivals etc. Additionally, I want to delve more into my visual side by working extensively in fashion. This year is going to be fun. A lot is in the making. 14. Where can our audience catch you live? I’m incredibly excited about my next show. In celebration of the release of my EP, I’m curating my first event at The Toff in Town on Saturday Feb 18. It’ll be an evening celebrating all art forms. As well as inviting some other incredible artists to play (TBA), we will be celebrating local fashion, art and businesses. Instead of just having a ‘normal’ EP launch, I wanted to make it special and thought… Listeners deserve that. Fans who pay money to support you deserve your time and effort. 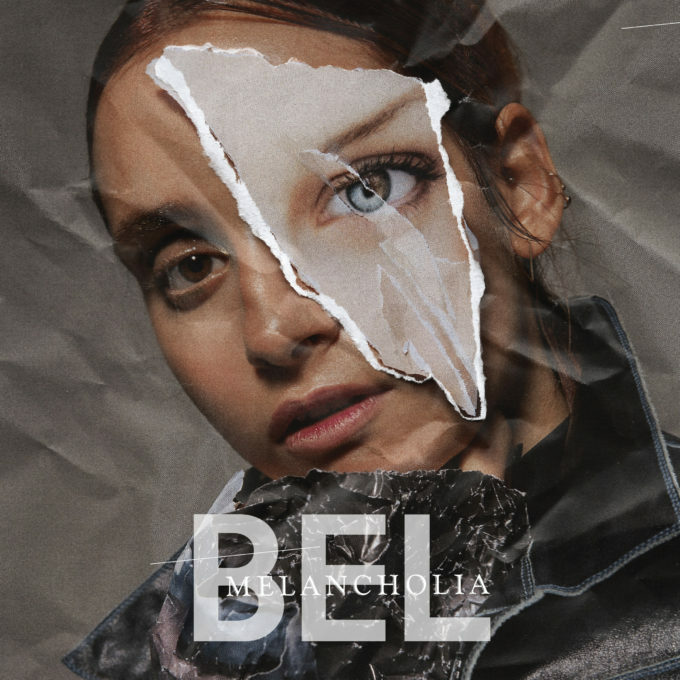 Bel’s EP ‘Melancholia’ will be released on Friday February 10.